Banner Health, Banner Children’s Specialists and Cardon Children’s Medical Center is seeking a Board Certified/Board Eligible Pediatric Neurosurgeon to join a growing program in the East Valley of Phoenix, AZ. Cardon Children's Medical Center is a 248 bed, comprehensive children's hospital that serves greater Phoenix, the state of Arizona and beyond! The Banner Children’s Subspecialty Group, located on the same campus as Cardon Children’s Medical Center supports a growing population of state-wide referrals. Join our collegial team of two Pediatric Neurosurgeons, one Nurse Practitioner and full support staff. Pediatric Neurosurgery training/experience is required, qualified candidates must be Board Certified/Board Eligible. Services provided include inpatient, outpatient surgical care for acute and chronic neurosurgical conditions. M-F work week with shared call of 1:4. Additional income opportunity with optional added call. Level 2 Trauma coverage anticipated to start spring of 2015. Provides comprehensive pediatric care, including a 24-bed pediatric intensive care unit with specialized services for specific childhood diseases. Our Pediatric Critical Care Board-certified pediatricians provide 24/7 in-house comprehensive family-centered care. The child-friendly atmosphere provides critical inpatient services for infants, children and adolescents. With a family-centered care plan, the Pediatric Intensive Care Unit normally admits patients up to age 18. The mission of the division of Critical Care Medicine at Cardon Children's Medical Center is to promote and advance the health and wellness of infants, children, and young adults with acute life-threatening illness. Banner Health is one of the largest nonprofit hospital systems in the country with more than 36,000 employees. In 2012, Banner hospitals delivered 46.8% of all babies in Maricopa county and 31.5% in the state of Arizona. In Phoenix, three Banner hospitals have large tertiary-care neonatal intensive care units. Cardon Children's Medical Center provides comprehensive pediatric care from general to emergency, as well as services for specific childhood diseases. Highly trained physician specialists, social services staff and numerous integrative therapy programs ensure a complete range of care for children. We have a child-friendly atmosphere accented by soothing colors and dedicated play areas, as well as a volunteer dog therapy program that helps cheer up young patients during their stays. Six pediatric operating rooms featuring 25 private, child-friendly pre- and post-op areas. An expanded Pediatric Emergency Department, increasing from 15 to 26 beds. Cardon Children's Medical Center is located in Mesa , AZ. 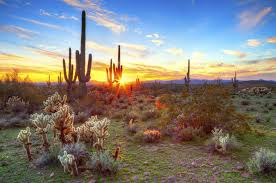 is located just 15 miles from Phoenix and is home to more than 430,000 people. The city has numerous historic areas including the Temple District. This area of town surrounds the Later Day Saints(LDS or Mormon) Temple, which was built in 1927. The temple and its visitor's center attract more than two million visitors each year. Nearby areas offer mega shopping malls, numerous factory outlets, wonderful restaurants of every sort, dozens of top-rated golf courses, Indian gaming centers, medical services, and many more attractions including Biosphere II, Boyce Thompson Arboretum, the Arizona Science Center, Kartchner Caverns, Saguaro and Canyon Lakes and of course, the beautiful Grand Canyon.